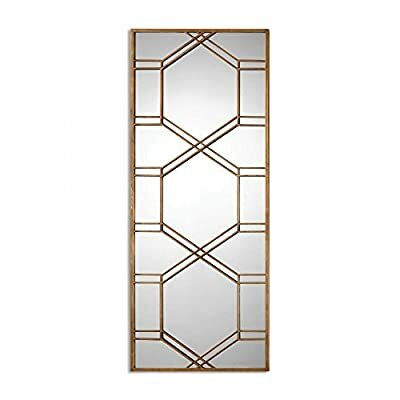 CLASSIC DESIGN: featuring an interwoven pattern on a circular frame, this perfectly sized mirror will fit in any living space from bathroom and bedroom to living room and entryway. 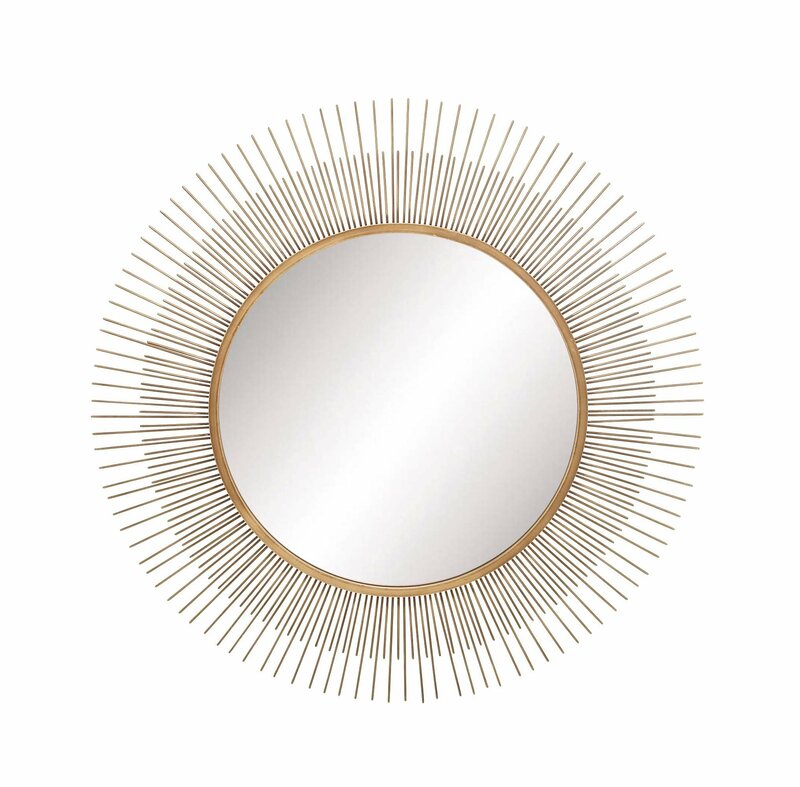 VERSATILE FINISH: combining brushed silver and gold into one finish, this mirror could easily coordinate with posh, glam, eclectic, mid-century, casual, coastal or industrial decors. 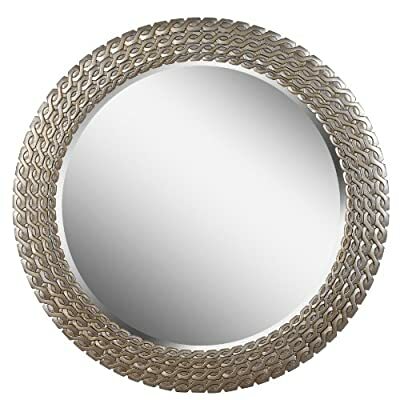 D-RINGS: two D-Rings come pre-mounted on the mirror for simple and secure wall mounting. Diameter 24 inches x 2 inches deep. 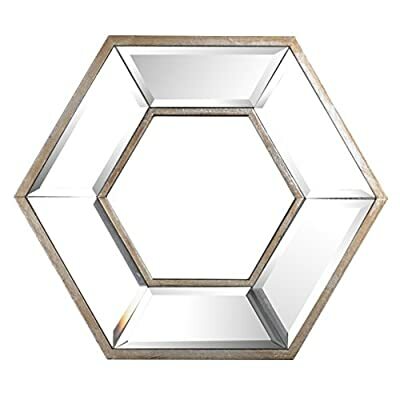 Diameter mirrored glass only 16 inches. 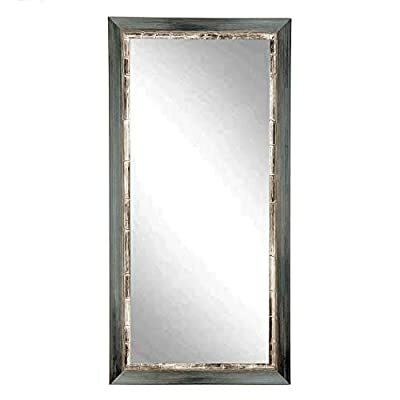 This mirror’s frame has the appearance of weathered, unstained wood, giving it a rustic touch. 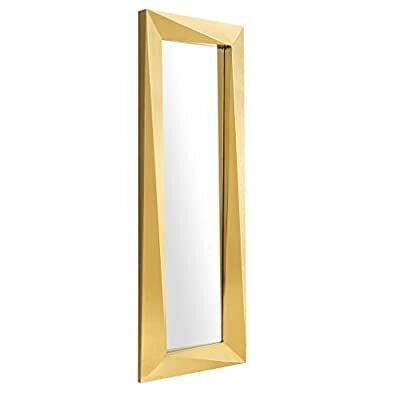 Its versatile size makes it easy to place in a traditional-style bedroom, hallway or living room. 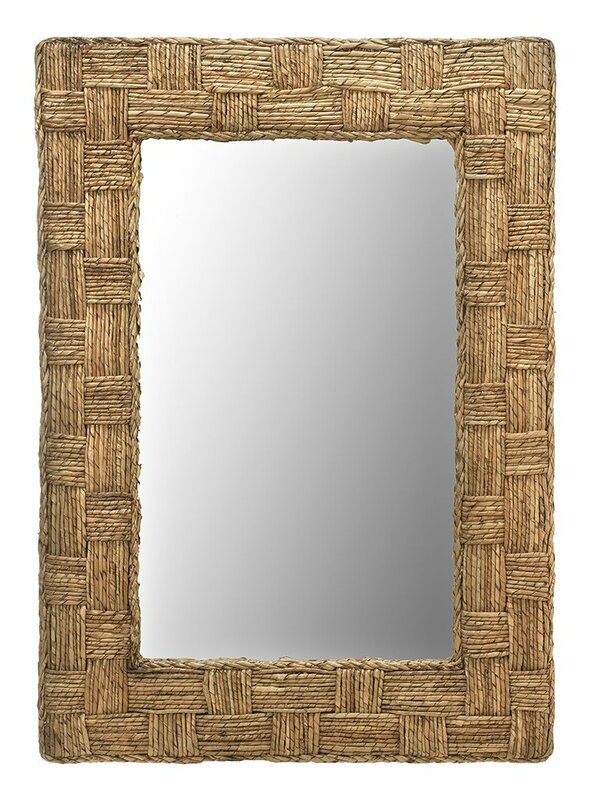 Natural wood color frame for classic style with a hint of rustic. 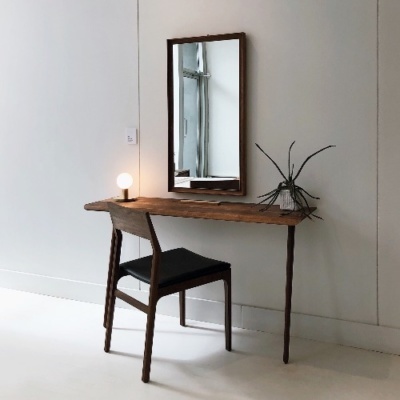 This modern mirror artfully combines wood and iron to form a frame with hints of classic and industrial style. The natural color of the wide rubber wood plank paired with narrow black iron trim makes it a striking addition to any room. 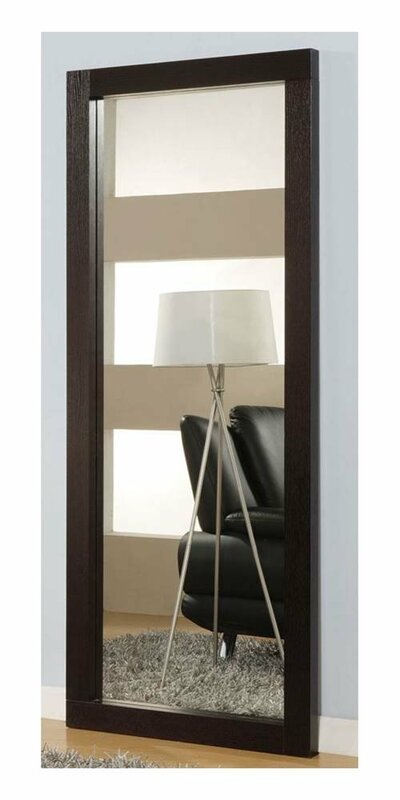 DIMENSIONS: The overall size of this full-length mirror standing on the floor measures 28.50 x 64.50 inches, including the frame. Its reflective area measures 24.00 x 60.00 inches. 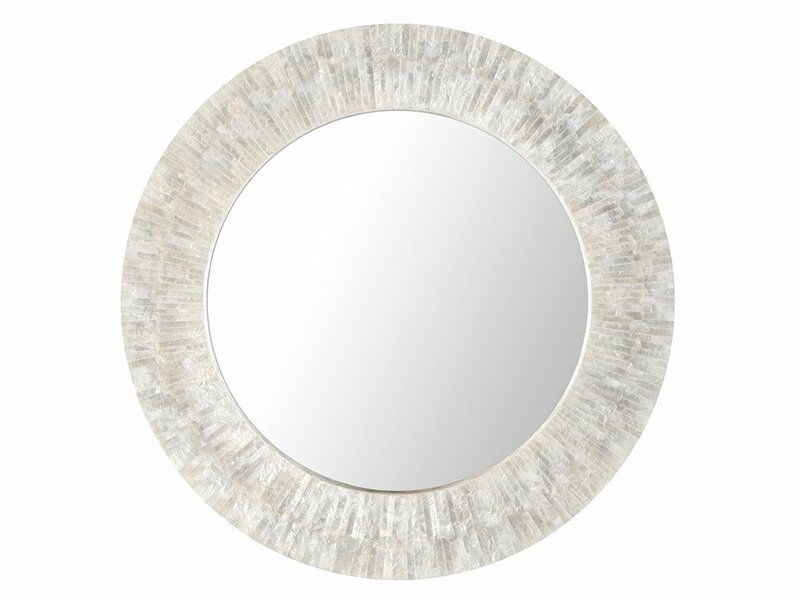 The mirror itself is not beveled, for full use of the reflective area. 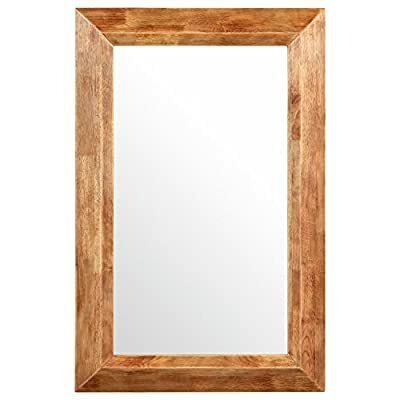 100% REAL WOOD FRAME: The Cambridge Mahogany frame is a 2 1/2″ wide frame with gently sloping design, black outer edging. Its rich mahogany color is accented with black striations running across surface. The frame measures 2.6 x 1.153 inches. 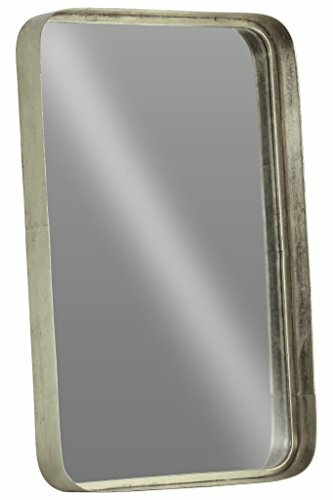 All Amanti Art wall mirrors are finished with a solid surface backing to ensure stability and prevent moisure and dust buildup. 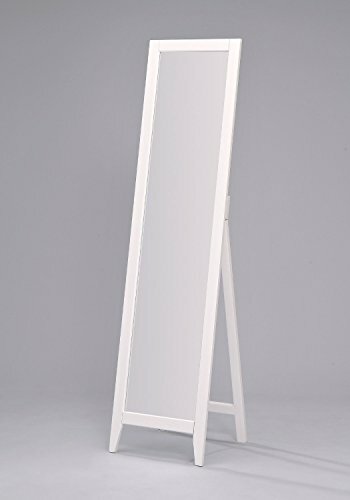 HASSLE-FREE HANGING OR FLOOR PLACEMENT: For placement on the floor, simply lean the mirror at a stable angle against the wall. 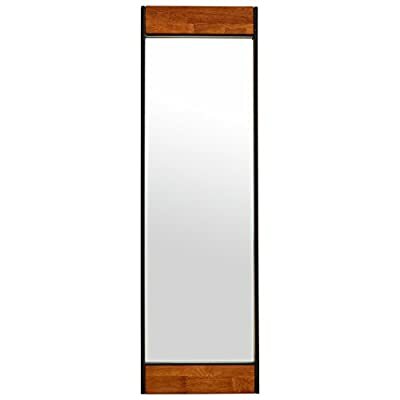 If you want to hang your floor or wall mounted full length mirror, we give you everything you need. 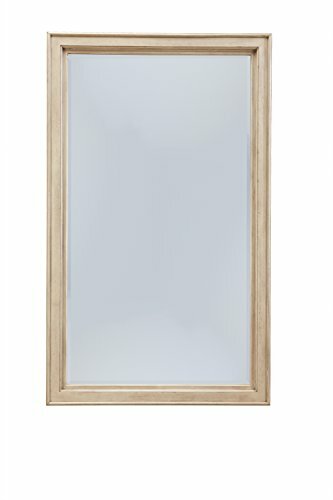 Each mirror has durable D rings attached to the back along with 2 hanging hooks and nails. Tap in the nails, and the D rings hang easily on each hook. 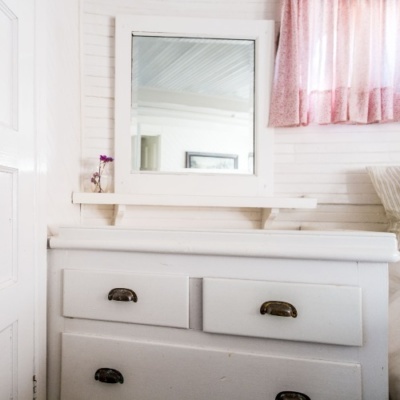 Finish: Antique White, Style: Traditional. Lenght: 1.00in, Width: 15.00in, Height: 63.00in. Lenght: 1.50in, Width: 29.00in, Height: 70.00in. Perfect finishing touch for your home’s bedroom, hallway, or dressing area.